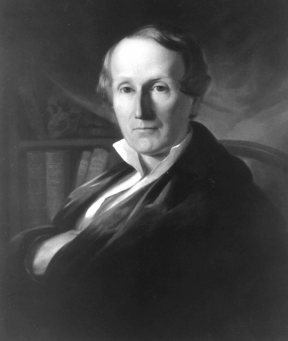 Samuel George Morton, proud member of the Class of 1820, went on to join Penn as a professor of anatomy in 1839. During his tenure, he began the collection of human skulls that would make him famous, and he also began taking the skull measurements that would make him infamous as a Founding Father of scientific racism. Many years later, in 1978, Harvard professor Stephen Jay Gould delivered a paper that gave Morton the comeuppance he so richly deserved, exposing the racial bias in Morton’s measurements. At least, that was the popular story. But the tale of these two scientists took another twist last week, when a paper co-authored by Dr. Janet Monge of the Penn museum was published in PLoS Biology, under the title: The Mismeasure of Science: Stephen Jay Gould versus Samuel George Morton on Skulls and Bias. As it turns out Morton (who last appeared in the Gazette March/April edition, in Penn Fights the Civil War) had found a defender–at least, for his scientific acumen. With the help of an undergrad work-study student (Jason Lewis, the paper’s first author), Monge and her team painstakingly re-measured the skulls, following Morton’s procedure. Their measurements matched Morton’s exactly, and the team concluded that either Gould had never done any measurements of his own, or he had actually been the one fudging data to fit his agenda. “Gould had a double purpose,” says Monge. And in the service of a good cause, his work seems to have become less science and more racial evangelism–behind a scientific veneer. 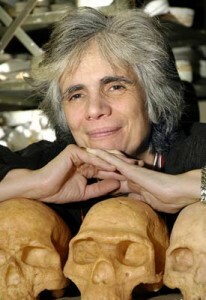 But, Monge says, a careful reading of Morton’s work shows that he didn’t actually believe that intelligence was linked to skull size, as some of his critics have claimed. As she tells it, Morton’s findings arrived at a convenient time, and were seized upon by those looking for evidence to back their overtly racist claims.